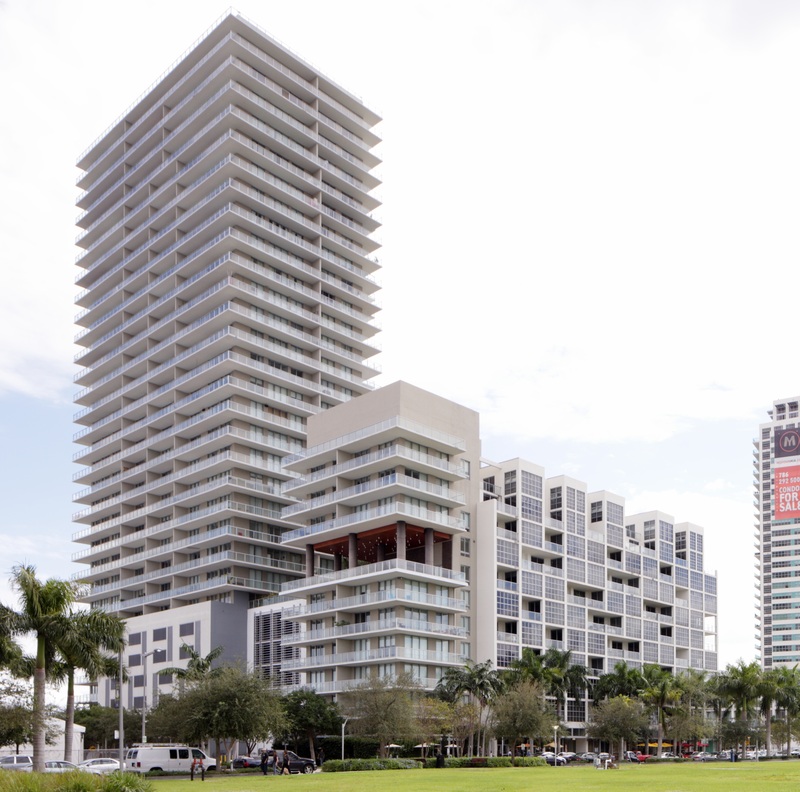 Midtown 2 is a condominium complex in the heart of Midtown Miami. Midtown 2 consists of three areas, the Tower, Mews, and Midrise. The midrise consists of 62 live and work residences and the tower consists of 256 modern residences. Midtown 2 was built in 2007 by Nichols, Brosch, Sandoval ,and Associates. Total number of units is 398 from 603 to 3,472 square feet. Residents of Midtown 2 enjoy a rooftop swimming pool overlooking midtown and the Biscayne Bay, Jacuzzi with steam and sauna room, state of the art fitness center meditation garden, covered parking, 24 hour valet and concierge. Individual residences are sleek in design with floor to ceiling windows, wide private terraces, walk in closets, Italian kitchens with stainless steel packages, and imported stone flooring and designer fixtures throughout. Despite being at the center of midtown, it is very family friendly and has a large dog park and plenty of open space. Midtown is a pedestrian area that is in between the Wynwood Arts District and the Design District. It has Target, Homegoods, and a variety of dining within walking distance. Downtown Miami is a short drive away and the Miami International Airport is under 15 minutes. This is a popular neighborhood for those involved in the arts and those looking for some of the cutting edge dining in Miami. 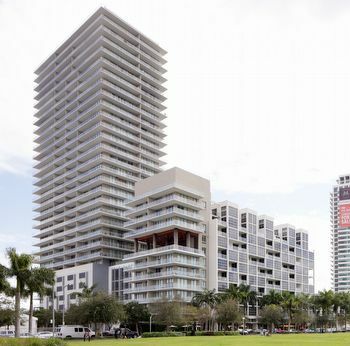 Midtown 2 is a chic residence in the heart of Miami.